Yeah! If you’ve been following along with this little blurb each month, you know we’ve reached the final P – PROMOTION. It’s a big one! If you’ve done the previous work on defining your product, the price, it’s placement and its’ position within the market – you’re ready to take on promotion. How will you best get your message out? We live in a time when there are literally unlimited avenues of promoting. Pay per click ad words, Facebook, Print, digital sites and blogs, promised SEO – many places to spend many dollars. It is a whole industry on to itself and it is the monetized part of marketing. 1. GOOGLE Business Pages. Whether you know it or not – if you’re in business, you have a google business page. I recommend you claim it and pump it up in a big way! You can add messaging, images and more here. It is literally, like turning the lights on. Google rewards businesses for using their tools (like it or not), so take advantage of that! It will drive traffic to your site, thereby bringing business to you. Post your best images, the ones that represent what you’re amazing at. Tag them to your website and use key words about your service or business. Just do it! 2. Partake in any site that has free listings. If you’re a venue, Kramer Events, has a great one. (that was a cross-promotional plug…) Make sure your information and images are current and represent you well. There are other listings – don’t discount them. EVERY TIME you are mentioned in the world wide web – it provides another link to your website and business. This is like compounding interest over time. 3. Your website is the best promotional tool available to you. When your potential clients go there – are they engaged, do they want to see more of what you have to offer or does it indicate that you’re out of touch? You have about 6 seconds to convince someone looking at your site, either to stay or go. Make sure you have a phone number on the landing page. Make sure you have an email (not just a form to fill out) so they can easily contact you with questions. If you don’t have your email address on your site and only have a RFP form – YOU ARE LOSING BUISINESS! Do you have links within your site to other vendors, editorial features, events you’ve been part of? This is another incredible way to drive traffic and raise your own site in the google rankings algorithm organically (without spending $$). 4. Social Media is FREE. The opportunity for business is truly incredible. The key to making it work for you is posting amazing images and information CONSISTENTLY. Definition of consistently: 3-6 times each week for Instagram and 2-4 times for Facebook. Know that Instagram and Facebook serve very different purposes. Facebook is informational and Instagram is Inspirational. I’m going to come back to these concepts in subsequent blurbs. 90% of brides have checked you out on social media BEFORE they get in touch with you. YOU are in control of what they’re seeing. So, that’s a wrap for this month. 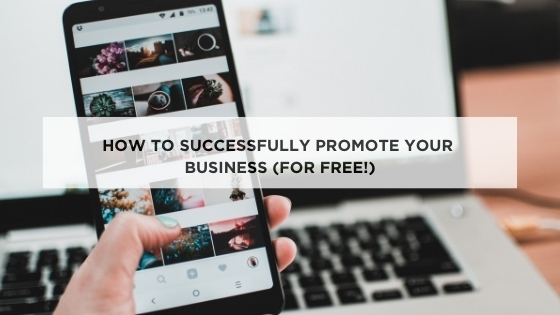 Next month we’ll chat about paid promotion. In coming months, I’d like to share helpful information about practical things such as tips for responding to a bad review, best practices for social media and networking, so be sure to tune in. Have a question for me? Email me at mktgsmith@icloud.com or through @mktgsmith on insta. Just in case you missed it, here is last months article on Placing Your Product.